Consider Preserving the past - use antiques for home decor. This is my last post about Lisa's DIY decor. 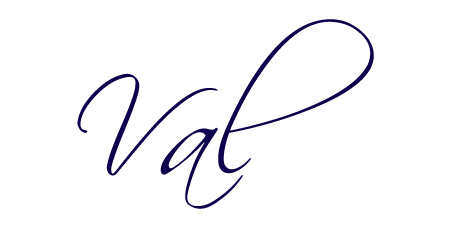 Meet Lisa Reese, guest writer for Love My DIY Home. Thanks Lisa, for sharing your home accents with us. Here's a picture of the top of her kitchen cupboards that I've thrown in just for fun. Lisa said about her collection, "I have a collection of antique enamel ware and even a very old snow white pitcher and basin set. They’ve been in the family probably a hundred years, and I’m delighted to have a place to display them that is well out of reach of rambunctious grandchildren or klutzy grandmothers." 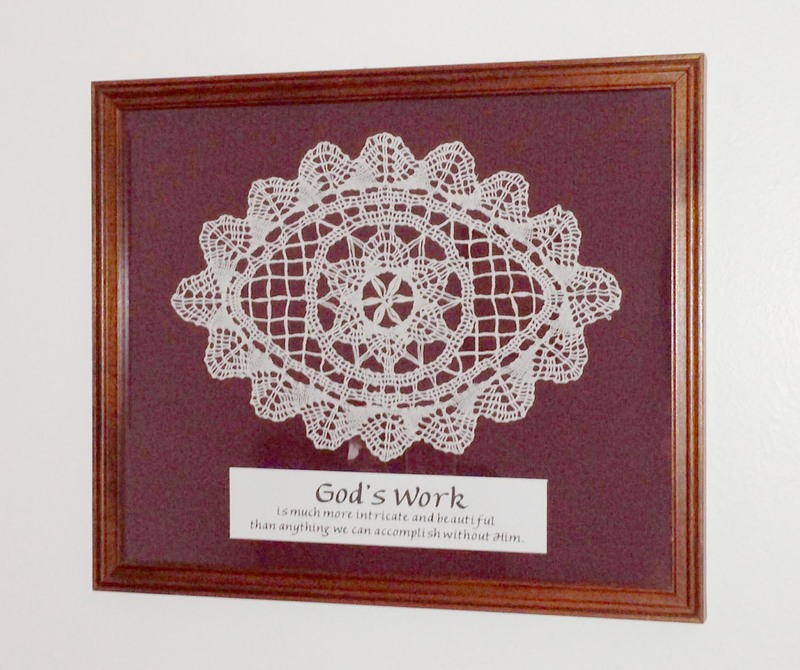 Featured below is her framed bobbin lace doily along with her description and tutorial. "In my quest for interesting old stuff, I often find myself wandering through garage sales. My absolute favorites are those out-in-the-country estate sales, where you might find literally anything, and usually pretty cheap, too. Most generally, a sale in a subdivision doesn’t yield much fun old stuff. However, one day I was going by one of those subdivision, in-the-garage-of-my-duplex sales and stopped in anyway. I’d hit paydirt! Someone had cleaned out Grandma’s closets and was selling piles of old textiles for next to nothing. (For instance, a satin and lace vintage wedding dress for under a dollar. Man, I almost bought it, but....what would I do with that!? Still....) Anyway, there was a mound of rumpled, crumpled lace. I looked it over and saw a couple of very rare items. They looked terrible, but often those old pieces can be revived, so I didn’t let the appearance bother me. I bought several pieces, including a hand-knotted net lace runner and this piece, which I believe is actually bobbin lace. Bobbin lace was rare even “back then” because few people knew how to use the pins, pillows, and bobbins to construct it. This piece looked like a wadded up spider web, but it was under 75 cents, and I snatched it up. When I got it home and washed and pressed it, I discovered its unusual shape. Cleaned and starched, it was still like gossamer. How to display this example of some fore-mother’s hard work? I found a frame at a thrift store, and (I’m a seamstress) dug up a piece of left-over pinwale corduroy that would set off the creamy lace. The corduroy has enough nap to make the lace cling, so when it is framed, it stays in place. Then I added the legend, partly to fill in the frame space, and partly because a remembrance of the complexity of God’s work is always desirable. It fits so well in the overall scheme of the living room here." 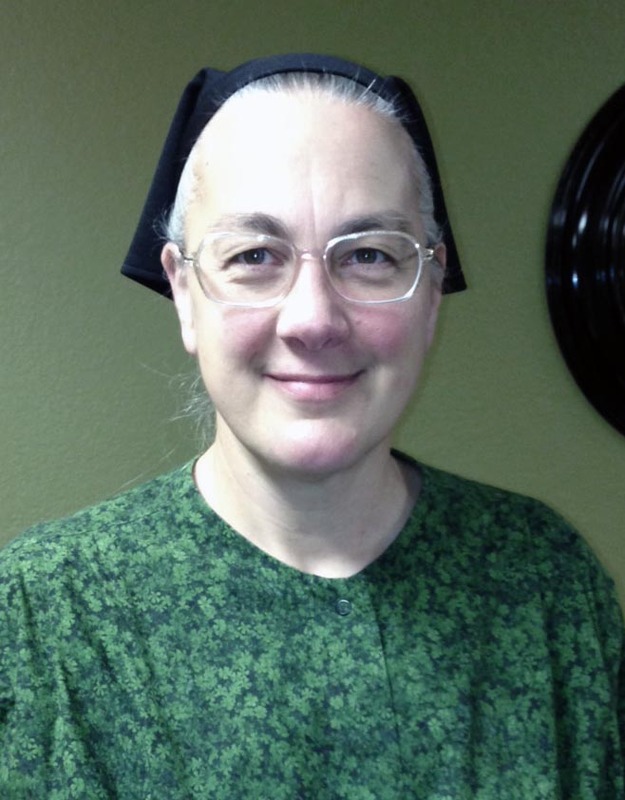 Lisa Reese is a wife of 33 years to Jeff, mother of four children, and "Oma" to four little people. Formerly a militant-feminist, she now finds herself in her right mind as a do-it-yourself, back-to-the-lander, stay-at-home, crunchy-conservative Mom. Lisa has found satisfaction in rescuing old treasures, turning them into works of art. She presently teaches science in a middle school and is a full-time college student. Being a member of the Grammar Gestapo, she faithfully keeps her kitchen spices in alphabetical order like a good soldier. She is curious about everything, outspoken in ther faith as well as all things general. Never accuse her of liking pink or traditional decorating. Funky anchored in sentimentality is her decorating byword. That bobbin lace doily is beautiful! Thanks Donna, we can continue because we want to – not posting every day, but stay connected to everyone.